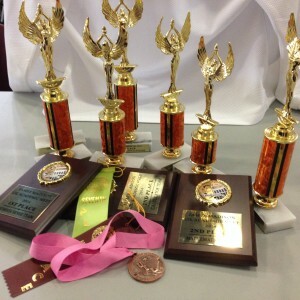 The trophies Mac UIL Academic team won. Taking second place sweepstakes, UIL Academics competed at Madison High School Sat. Dec. 6th for its first meet of the season. The next meet takes place in January where competitors will work harder to improve at their individual events. Here is a list of the individuals who competed.